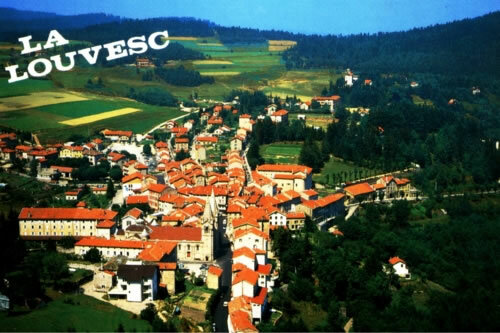 The Congregation of Our Lady of the Retreat in the Cenacle began in 1826 in the small French village of La Louvesc among a people whose faith had been deeply disturbed by the Revolution. The founders, Father Stephen Terme and Mother Therese Couderc, were filled with a compelling love of Jesus Christ and tried to find the best means of making him better known and loved. The shrine of St. John Francis Regis at La Louvesc attracted large crowds, and Father Terme was distressed when he saw the disorders that often accompanied the pilgrimages. He took the initiative and opened a house to welcome women and girls, entrusting it to some of the Sisters of St Regis, a community which he had founded. 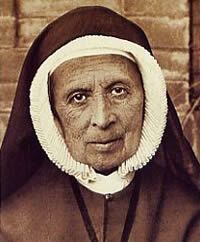 In 1828 events led to the appointment of Mother Therese as their superior, although she was only twenty-three years old. She soon realised that receiving everyone who wanted to come was incompatible with the demands of an authentic religious life and apostolic service. She obtained Father Terme's agreement to accept only the pilgrims who would make their stay a time of serious prayer. 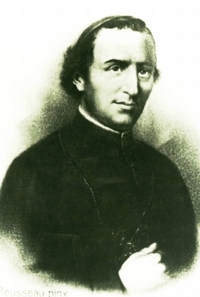 When he made his own retreat in the autumn of 1829, Father Terme discovered the Spiritual Exercises of St Ignatius. He was so enthusiastic about them that he had the sisters immediately make this form of retreat which united the experience of prayer with reflection on the mysteries of faith. He then directed them to begin using this method with those who came to the house. Thus the founders were led by the Spirit to see retreats, along with religious education, as the means for achieving their purpose of reviving faith and furthering the reign of God. Father Terme died in 1834 at the peak of his missionary activity. In his will he confided his 'daughters of the retreat' to the Society of Jesus, who had assisted him occasionally in the development of the community. The Jesuits continued the formation of the sisters in Ignatian spirituality and the use of the Exercises. On August 15, 1837, Mother Therese was led in prayer to renew Father Terme's consecration of the Congregation to Our Lady and to broaden it by pledging that henceforth she would act only in dependence on Mary. A year later when she was put aside as the leader she accepted with faith and deep humility what she perceived to be an indication of God's will. She surrendered to it completely and handed over her authority. During the years of relative obscurity which followed, the retreatants as well as her sisters benefited from the riches of her heart, her prayer and her experience. Until her death in Lyons in 1885, Mother Therese united herself more and more with the sacrifice of Christ for the salvation of the world. She remained the grain of wheat buried in the ground while the Congregation which she personified from the beginning, spread throughout France and beyond. The original inspiration matured and took a definite form. Gradually, it had become clear that the Congregation was evolving into one which reflected the spirit and mission of the community gathered with Mary in the retreat of the Cenacle. The Constitutions of 1844 officially recognised this biblical mystery as expressing the fullness of the vocation and gave the Congregation the name which identifies it. A series of diocesan and papal decrees, culminating in the definitive approbation of the Constitutions by the Holy See in 1886, confirmed the direction the Congregation had taken and recognised its mission in the Church. The canonisation of Mother Therese in 1970 was a new sign of approval not only of her exemplary life but of the charism of her religious family. The first assembly of the early Church praying with Mary and receiving the Holy Spirit remains the inspiration of the Cenacle communities.